I watched one of the best hockey games ever! ... well, my son was watching and yelled from upstairs for me to turn on the tv and catch some of the game ending hockey conversation. ... the Leafsters won, right? They must have, with Don Cherry sporting that suit!!! Looks like a nice playing game. Not too hard, not too easy. Great flow, actually. I've been watching gameplay for over an hour now. gosh. But entertaining! 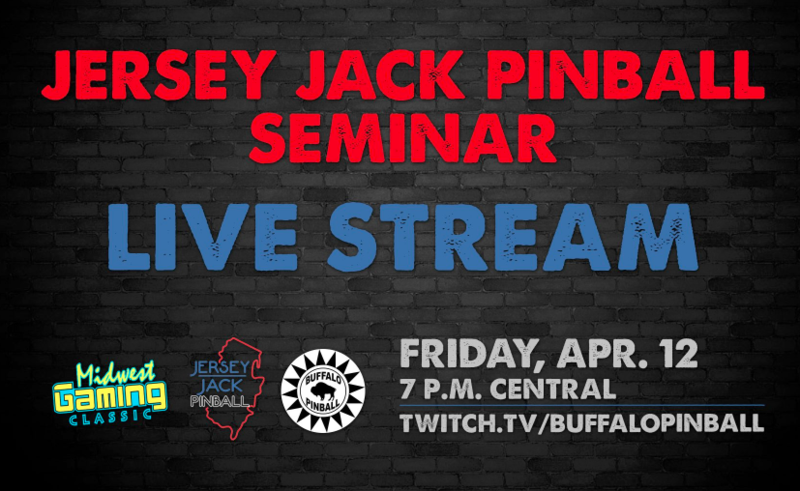 The Buffalopinball gameplay feed is on until midnight, Central time (1:00am Eastern). Topic: Pinball in movies ! Re: Pinball in movies ! Topic: What did you do today in the hobby? I'm in the process of scanning then 'touching up' the ol' art on a '53 Gottlieb Grand Slam. Play ball! Topic: Where were you in 1982 ? ... to my kids ... once again ... because even though they spend most of their spare time staring at their handheld phones or tablets, txting and/or giggling, they might appreciate the pin ball machine ... one day! Big and slow. Multiball makes the machine go wacky!? Can't fix it, darnit. Will trade + cash for an Atari Middle Earth or Roy Clark 'The' Entertainer. Well, when you're that big, they call you Mister. jeff@pinballpimp.com might be able to help with stencils. Maybe just connect them to the 3X light! That would be a nifty reward, imho. "Huh? Sorry, you think you'll beat my high score on that pin by how much???" It's a glorious miracle you're a hustler at arrange ball, Cait! Cool cab. And I read that Griffon may be much more difficult than Centuri Phoenix! Somehow I scored over a million and #2 on WWF:RR. Pretty sure I had help from King Kong Bundy; rip.